These are our most popular trail riding packages and we have a good variety to suit everyone. If you would like a customised package please Contact Us for more information. All our price's are final there are no supplements or added extras, the price you see is the price you pay. 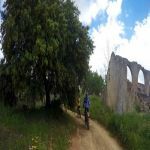 Your off-road trail riding tour will be the holiday of your dreams, for your perfect biking holiday, get in touch and make your dream a reality. Includes Bike hire, Fuel, Full kit, no accommodation as this is a single day event. Includes Bike hire, Fuel, Full kit, to ride and 3 nights accommodation. Includes Bike hire, Fuel, Full kit and 4 nights accommodation. Includes Bike hire, Fuel, Full kit and 5 nights accommodation. Includes Bike hire, Fuel, Full kit and 7 nights accommodation. All our prices are inclusive. There are no additional supplements or added extras, what you see is what you pay. 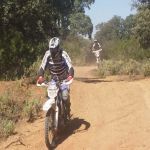 Please contact us to make your off-road holiday a reality, whether it's trail riding or motocross.